Hans has always been into cars. From playing in his Dad's 69 Charger when he was a couple years old till this day, cars have been in his blood. He currently drives a 2013 Subaru Impreza WRX that he drives daily and is part of a large Subaru Community in Arizona (Flat4phx). He is the Senior Photography Editor for Car Street Journal, joining back in early 2013. He has many influences that have helped him grow as a photographer such as the famous Larry Chen, and John Zhang. 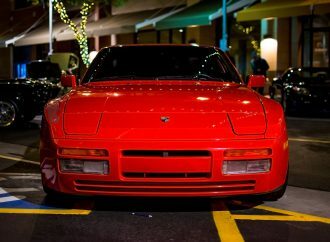 He's also been published with various publications aside from Car Street Journal such as: ClassicCars.com, Fox Sports, and the DuPont Registry. He is always growing, learning different techniques and working on his skill daily. The inaugural ClassicCars.com Future Classics Car Show, open to vehicles from 1975-2005, took over High Street in Phoenix and photographer Hans Marquez was there to capture these images. 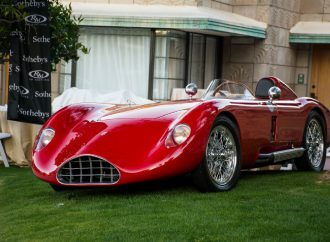 The 3rd annual Arizona Concours d’Elegance filled the grassy courtyards at the Arizona Biltmore in Phoenix with some spectacular cars.